As we approach the holiday season and say good bye to 2018, I want to thank you, once again, for all you do to keep our organization vibrant and thriving. You have made us a leader in the galaxy of IWF forums with your support, active engagement, and spirit of partnership. As reported at our annual meeting, this has been a banner year for attracting fabulous new members from diverse sectors and backgrounds; delivering superb and fun programs, dine arounds and read arounds; expanding our communications channels (we now have 119 followers on our IWFDC Instagram account); updating our bylaws; finding creative approaches to engage with you; inviting several of our Leadership Fellows to become members and strengthening our ties with the global Fellows program. Plus, we’re doing all of this with sound, financial fitness. I couldn’t be more grateful to our board and committee members who have given so much of their time and talents in service to our Forum. I thank them for their commitment. In return, nothing would make them more pleased than to see you take full advantage of all the opportunities offered for connecting, learning, supporting each other and just having good ‘ole fashion fun with peers and friends. As we look to 2019, there are a number of exciting events and programs being planned, including embassy receptions, a get-to-know social occasion for our new members early next year and exciting gatherings with outstanding, global women leaders. We hope you come to all these special programs being prepared for you. So, from our board to you, may the holidays bring you continued good health, ongoing support and enthusiasm for our Forum as well as lasting joy and personal fulfillment. Tis the season to reflect on all the wonderful friendships gained because of our Forum. 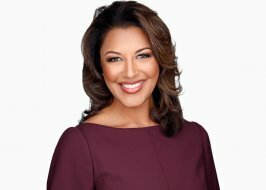 Lesli Foster is an award-winning journalist and mainstay of Washington news as a weeknight anchor for WUSA9 evening broadcasts Monday through Friday. She is also part of the WUSA9's Special Assignment Unit – leading our “Impact” coverage that aims to tackle community issues. Lesli joined the station in 2001 and has covered the major events of our times across the area. Known for her warmth, and ability to share impactful stories that have an effect on our wider community, she thrives on work that touches everyday living. While her work has allowed her to interview many local, national and international luminaries, she most enjoys talking with ordinary people who use their lives to do extraordinary things. Her career work has been recognized with Emmy, Edward R. Murrow and Associated Press Awards. Lesli received an Emmy Award for Best News Anchor in the Washington, DC market in 2012, and has been nominated for Best Anchor for three consecutive years since 2010. Lesli also earned more two Emmys for reporting on a series on the 40th Anniversary for the March on Washington, and Jeep Gas Tank Fires. All totaled, she has been nominated for nine Emmy Awards. Lesli also received two Edward R. Murrow Awards for stories on the case that helped to coin the term "car jacking" about the case of Dr. Pamela Basu, and Stray Voltage: A Silent Danger. She also won three Associated Press Awards for a series on Jeep Gas Tank Fires, a series on HIV/AIDS and the "Down Low," and the social impact of Olympic Gymnast Gabby Douglas. 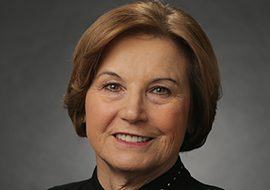 She was a featured journalist in the book, Women Journalists at Ground Zero, by Judith Sylvester and Suzanne Huffman, which documents the personal experiences of 24 women journalists who covered September 11th. Membership is by invitation only, and prospective members are nominated by existing members. Invitation for membership is extended to those women who have achieved success in their chosen field and whose interests are aligned with the objectives of the Forum. A prospective member is recognized as a leader in her field both inside and outside her own organization. The Forum strives for diversity of membership in many areas including field of expertise, ethnicity, age, and public, private and non-profit companies and organizations.